This project that exit the domain of the project, Robert Smithson will first attempt to achieve it in 1970 with a project entitled Island of the Dismantled Building that was going to build and dramatize a ruin/island in Vancouver Bay. In the end, this project never occurred (because of local associations) but few months later, he will re-iterate such attempt with his Partially Buried Wood Shed on Kent State University campus, associating his fascination for formlessness and entropic architecture. Indeed, a year earlier, he created one of his most famous work Asphalt Rundown which dramatized the slow drip of hot asphalt on an earthly slopped. This artificial geological interaction is fascinating for a lot of reasons. The slow movement of this black matter winning over the earth is not without making us think of an anti-matter that would absorb whatever interacts with it, the asphalt drip characterizes quite convincingly a materialization of formlessness, one can also think of this fluid mass that will eventually dries-up and somehow strangle the earth below it etc. Asphalt Rundown (1969). Image from Field Trips: Bernd and Hilla Becher / Robert Smithson. Porto: Museu Serralves, 2001. Partially Buried Wood Shed (1970). Image from Field Trips: Bernd and Hilla Becher / Robert Smithson. Porto: Museu Serralves, 2001. Has anyone noticed the unfortunate trend of computer design where blobish, parametric perforated forms are becoming ubiquitous? The designs below have been presented recently by offices of varying quality, and taken together, they appear strikingly droll. While I am sure that some approaches and sites are well suited to such architecture, I am hard pressed to believe that so many qualify. 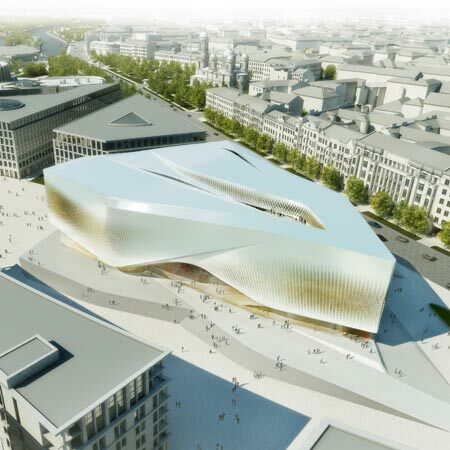 The renderings are hoping to convince of quality, but instead, it reveals to me the lack of imagination currently gripping the biggest projects in the world. Offices are empowered by the computer in a way that was never before possible, but have not managed, in my opinion, to fully come to grips with this tool. 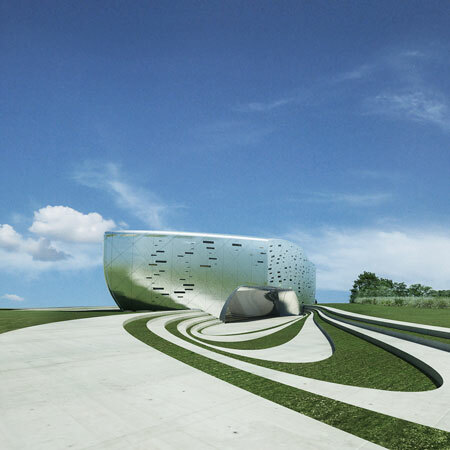 Even Zaha, who is often at the front of quality computer designing, succumbs to some moments of ridiculous. Something new needs to happen. I agree. This has become boring and in the most cases (but not all) meaningful. 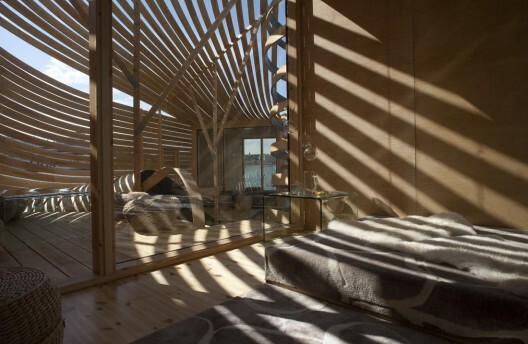 WISA Wooden Design Hotel is an architectural gem of wood situated in the maritime heart of Helsinki, capital of Finland. Around it lie the city and 200 years of architectural history. 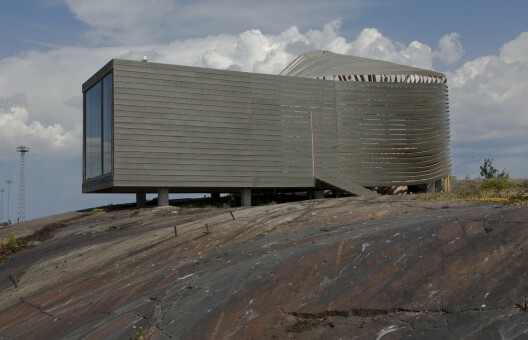 The work was designed by interior architect Pieta-Linda Auttila. She hopes to spark interest in wood and highlight its role in building and interior design. 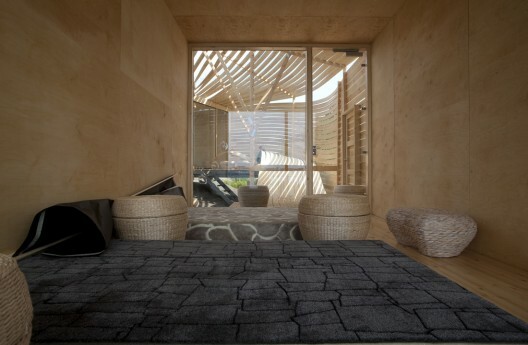 The WISA Wooden Design Hotel is an outstanding example of wood’s versatility. Here, wood works both as a load-bearing structure and decor in walls, ceilings and floors. 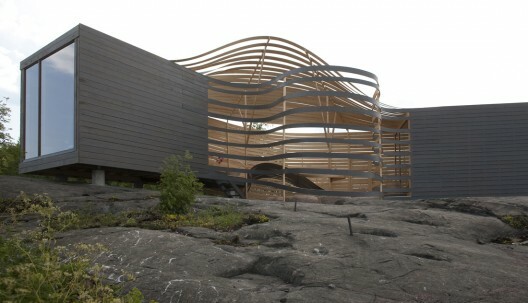 The building is a composition of Finnish pine, spruce and birch, and a testimonial to their special characteristics. When you view the building from a distance, your eye is first caught by the atrium courtyard in the centre; it separates the living quarters at both ends. The atrium’s shape flatters the liveliness of wood; technically it is the most challenging part of the design. 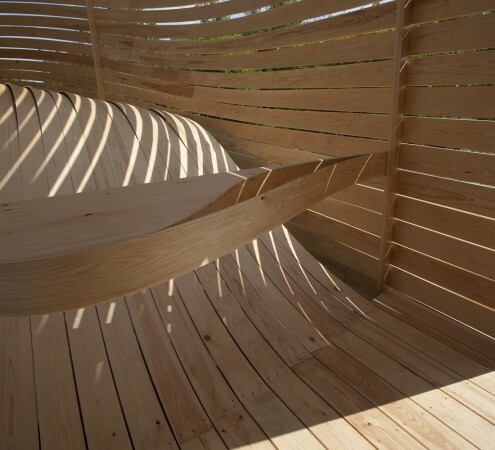 The long curved pine boards half-covering the patio form a trellis that titillates the imagination. Thanks to the trellis, the courtyard comes alive in a dizzying and enchanting way. The trellis protects against the wind and filters the long rays of the Nordic sun into the courtyard. The charming interplay of light and shade can be observed throughout the day, as the bright morning light gradually turns into the red glow of the Northern midnight sun. The striking wood architecture makes its way to the interior, giving Finnish pine another chance to show what it’s made of. But not alone. The pine floor is complemented by the light ethereal beauty of Nordic birch. The walls and the ceiling are panelled with beautiful and durable birch plywood. The curved part, slashed into strips in the middle, forms a trellis and shelters the courtyard of the hotel. As for the unbroken ends, they are the living quarters. The dark exterior and light interior of the WISA Wooden Design Hotel likewise represent a broken block of wood. When the dark surface of the block is cracked, the original lightness of the wood is exposed. The floor-to-ceiling windows at both ends of the hotel provide plenty of light to the interior. The views complement each other. The bedroom faces the sea and the morning sun. Past the courtyard, at the other end of the space, the view from the lounging area gives onto the city and the evening sun. During the day you can observe a swarming crowd and bustling commercial centre. After the late sunset the nocturnal city’s own lights come on. The WISA Wooden Design Hotel is based on the winning proposal of the WISA 24h Wooden Design Workshop competition organised by UPM, one of the leading forest products companies in the world. The building can provide overnight accommodation for a few people, but it is not designed for general hotel use. 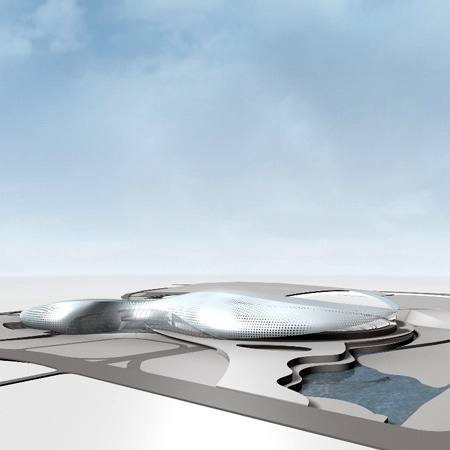 Pas d'intérêt direct pour le concept ou l'approche architecturale développée par ce projet. Par contre une légère curiosité pour sa forme. Lue "de travers", celle-ci pourrait commencer à exprimer des déformations, des tensions, des pressions ou dépressions, des interférences entre systèmes de références tout en conservant une unité et une continuité (à la différence donc de la majorité des esthétiques post-modernes ou déconstructives qui vont vers l'épuisement des systèmes de références --en général passés--, vers l'esthétique du collage, du composite ou du fragment, etc.). A nouveau une sorte de "paysage" à habiter en quelque sorte, idéalement "vierge" de récits.